Treat your mother to a lavish Mother’s Day Brunch at Choices Terrace, ART Rotana. An extraordinary spread of popular dishes will be laid out in an indoor garden set-up serenaded by their fabulous in house band “Soneando”. Flowers will be gifted to all mothers dining in. Rosso Restaurant will serve a heartwarming meal for Italian Mother’s Day Brunch. Share the delicious Italian feast with your whole family alongside a special performance by their talented Violinist. Live cooking stations and buffet inclusive of shisha and soft beverages is available for Mother’s Day at H2O. Enjoy entertainment by DJ Montana for the whole night. Mother’s Day promotion is on March 8 and starts at BD14++. Receive flowers and learn the art of flower bouquet arranging at Bay View Lounge’s Mother’s Day Afternoon Tea. Enjoy special afternoon tea while receiving and learning about flower bouquets before settling down to a well-deserved feast. Celebrate Mother’s Day this year with a simple and stylish Seafood Night at Baharat. Treat your Mom to Seafood Night and she will be entitled to 50% discount on this special day. Seafood buffet BD 25 net including soft drinks and water, BD 31 net including selected free flow beverages. *This offer is valid for minimum 3 people. 50% discount will be applied to Mother only and cannot be combined with any other discounts. A cross of Brazilian and Bahraini dishes will be spread for Mother’s Day at VIA BRASIL. Let the whole family enjoy a scrumptious meal together. Mother’s eat for free at this special dinner promotion. Café Mosaic will be offering Ladies & Mommies Breakfast every Sunday to Thursday for the whole month of March. 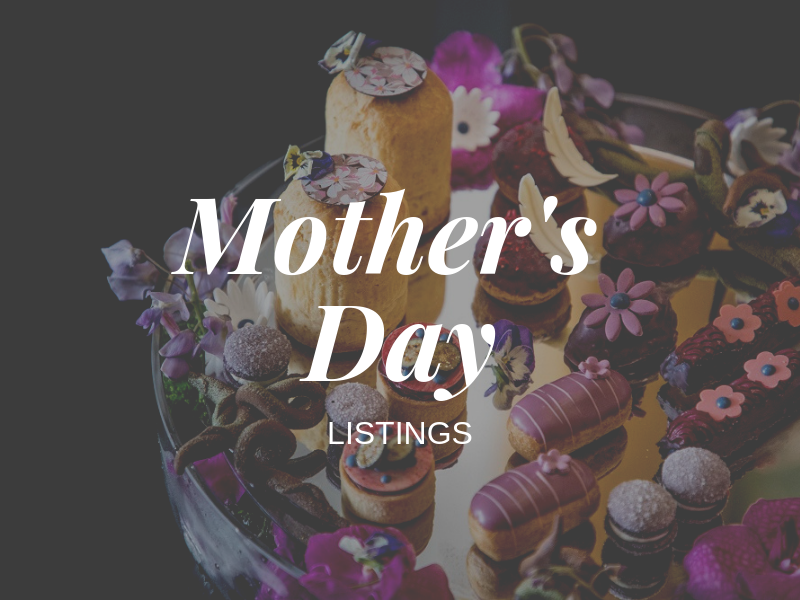 Relax and choose a feast at either Al Safir Restaurant, Golestan Restaurant, or Soie Restaurant this Mother’s Day. All mothers dine for free and receive a 50% discount to any massage treatment at Sheraton Fitness. Welcome spring with a warm embrace at Saraya, Fiamma & Rivaaj Restaurant’s special Mother’s Day Garden Brunch and experience a delightful outdoor brunch affair, full of savory international dishes for everyone to enjoy under the beautiful blue skies of Zallaq. Top-notch live entertainment by the Cuban Band, Latin Soul and a variety of fun outdoor activities for children. All mothers receive a loving 25% off. Let Zahle impress your mother with their special set menu this Mother’s Day. Let her rest and enjoy her day with a special performance by a Lebanese Star Singer. Café Delices’ feast will make your mother feel like royalty this Mother’s Day.